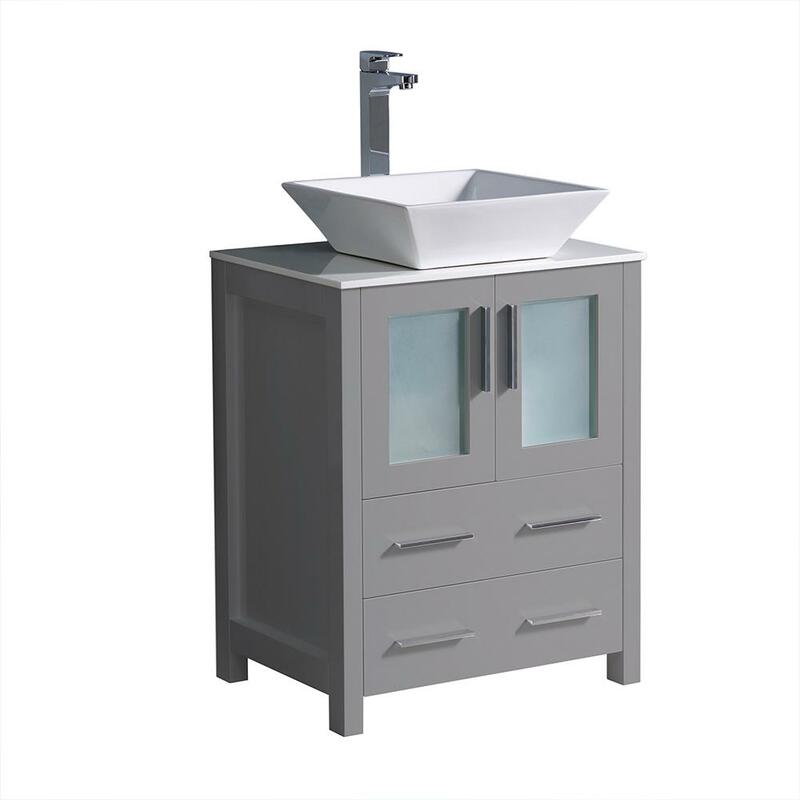 Instantly revamp your bathroom space with the Y Decor Torino Vanity. This vanity features a modern design, adding an upscale twist to your decor. It has a freestanding build, giving your restroom a more roomy feeling. With a medium density fiberboard construction, it can withstand daily exposure to moisture and humidity. Designed with a rectangular vessel sink, it will make an aesthetically striking and highly unique addition to any restroom. With a white vitreous china construction, the sink is incredibly durable. Vanity Top Thickness: 1.9 in.